Too far from the Hill Islands to be protected by their navy, and too close to be not seen as good plunder by those jealous of the wealth and stability of the Hill Islands, Stariphos Bay has to maintain strong defensive structures as well as a small fleet of ships to interdict maritime raiders. 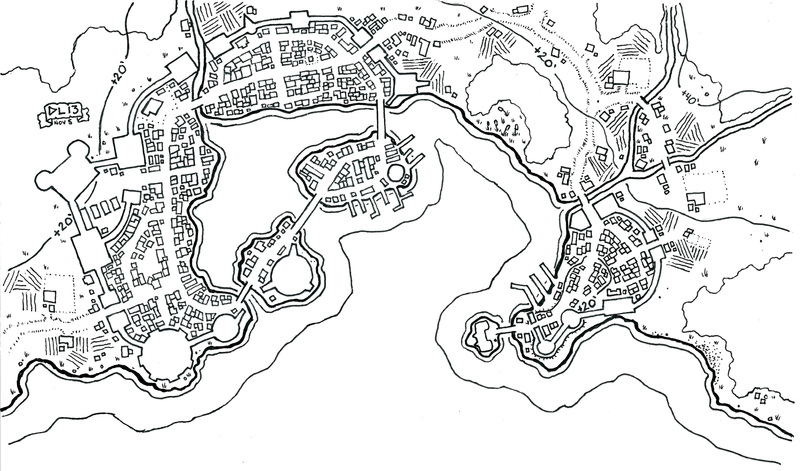 In a break from my standard style for mapping cities, I didn’t fill in either the fortifications nor the housing in black. I also didn’t put the tree fill in the forests nor the water fill in the water. I wanted to see what the raw map would look like and was curious about the lack of contrast from not filling the major walls and fortresses. Maybe I’ll get around to filling them in digitally at some point soonish. No promises though. Wow! That is an incredible map. Acually I find it quite useful(at least the houses), because it is possible to colour code them and easier to number them at the table (as player maps). 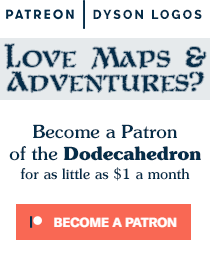 May I ask, what equipment, if any, do you use to draw your maps? Are most done with pencil and pen and then scanned or do you use one of the many digital drawing boards on the market? The vast majority of my maps are drawn in a single draft using black pen on white paper. Until December this was using 0.7mm black gel pens. Since December I’ve started using Micron pens (mostly the 03, 01 and 005 Microns). This particular map was drawn using a pair of gel pens – 0.5mm and 0.7mm – in a nice heavy sketchbook with thick paper, roughly 4″ x 6″ in size. The only digital work my material sees is in post-production after I scan them in. The lack of docks sheltered by the islands implies to me that the water there is very shallow. A possible issue for a political campaign would be the conflict between townsfolk who want to reclaim it for more land within the walls and druids who oppose the destruction of habitat.